Preschool Story Time is an interactive story time designed for preschoolers ages three to six. Join the fun at 10 a.m. Wednesdays. “Sticks and stones may break my bones, but words will never hurt me.” Does anyone really believe that? Anti-bullying initiatives have become a nationwide crusade. Has the push to create a world free of harassment eliminated bullying in schools, neighborhoods, or families? It has not, according to statistics. The CDC says that one out of five children is bullied in a given year. Anecdotes add to that number. So are we in a hopeless situation? Bullying can be defined as intentional behavior that hurts or humiliates. Bullying is intended to make a victim feel “less” about who he or she is as a person. It is about having power and control over another human being. Verbal and emotional bullying, such as teasing and social exclusion, have the potential to negatively affect a child’s overall health and outlook as much as physical bullying does. 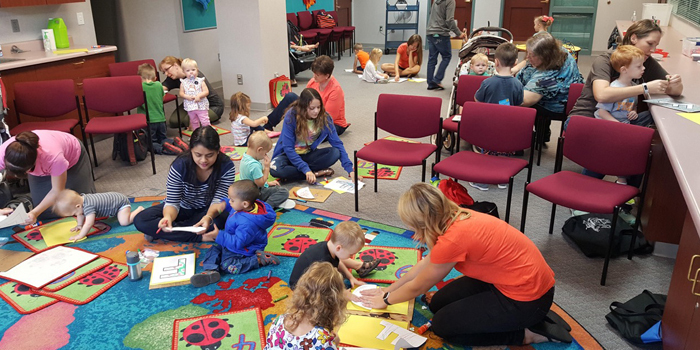 The Children’s Department at the Warsaw Community Public Library can offer help to children and parents on the topics of bullying, kindness, and inclusion. Our collection includes juvenile fiction books (chapter books), picture books, and easy readers on the topic of bullying. We also offer non-fiction and Education Resource Center books, as well as audio resources and DVDs. Since parents are a vital part of how children feel about themselves, we want to invite you to “Dads Reach Out and Read,” a program co-sponsored by the Warsaw Community Public Library and Kosciusko Literacy Services. This will take place at the library from 6:30 to 7:30 p.m. Monday, Oct. 29. We have some “dad” readers lined up, and the library will be presenting a free book to each child present. Dads and dad figures, bring your kids and enjoy a time of storytelling and reading. The library is located at 310 E. Main St., Warsaw. Contact us at (574) 267-6011 or on the web at warsawlibrary.org.